Here's how you win more sales with less effort using a TESTED, PROVEN and VERIFIED system of lead capture and follow-up email marketing that sell your "work-from-home" and "business opportunities" like hot cakes! The majority of the people who opt-in to your capture pages will not "Join" on their first exposure. Some people may join on their first exposure but won't actually understand the system (or how you can help) until after they've received a few emails from you. If you go out and spend a bunch of time and money promoting your business and you don't have an effective way to capture and follow-up with your website visitors to remind them about the products or the business, you are wasting money and losing sales. PERIOD. For example, let's say you get 100 visitors to your page and out of those 100 new visitors, 2 people sign up the same day. That's not a bad start, but if you're going to send 100 people to your site, We want you to get the most members as possible...at least 10. But 10 out of 100 people are not going to sign up on their first visit unless these are people you personally know who already trust your recommendations. with a marketing an automatic follow up messages system"
This optional upgrade includes 10 capture pages and 37 pre-written follow up email marketing messages that sell your Instant Leads and Income system and any other business opportunities you promote is unlike anything you may have seen before. It's a fast and easy way to accelerate your affiliate sales and boost your response... Especially if you can't write persuasively to save your life! And if you're under the assumption that the only way to make a profit, or to increase the money you make online is by driving more traffic to your offer -- you're only half right. Here's The Problem: While driving a steady flow of targeted traffic to your offer is important, the most effective way to convert your traffic into paying customers is through lead capture and follow-up marketing. You can't expect your prospects to buy from you the first time they see your offer. Do you typically buy like that? 1. A prospects needs to see your offer roughly 5-7 times before they buy. And that's in any business or market. 2. You typically only have 3-5 seconds to capture a website visitor's attention and make them take action before they are gone forever. 3. You have to build trust. 4. You have to fill a need. 5. You have to offer the right solution. 6. You have to build a relationship. 7. And you have to become the only and obvious choice. People spend thousands on buying work from home opportunities, and many more thousands to drive traffic to their affiliate offers, yet not nearly enough is spent on building that all important relationship and trust with prospects. 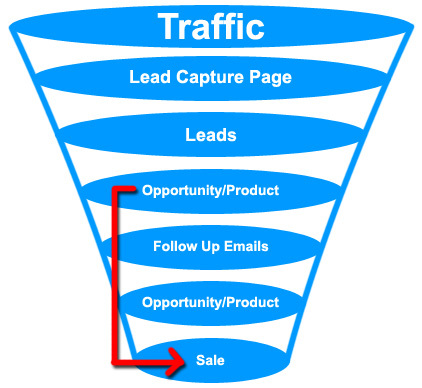 Get Your eMail Marketing Sales Funnel System Now! Make Sure You Read Our Terms Before Ordering.. Capture Pages Are ONLY Integrated With The Trafficwave & Aweber Auto-Responder Services. Added to the InstantLeadsandIncome.com main page rotator for 12 Months. Please note: You DO NOT have to upgrade to continue using our basic system, You will still get your leads instantly in to your inbox as they opt-in to your capture pages. The upgrade option above makes it easier for you to follow up with your prospects by using a auto-responder service like the one we recommended from your getting started steps when you were setting up your account. 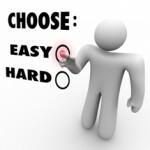 With the basic option you have to manually follow up with your prospects. The upgraded option will automate this for you giving you more free time and the ability to closed on more sales automatically! The prices above DOES NOT include service with Trafficwave or Aweber auto-responder service. We do not guarantee the level of success with the upgraded option. There are NO REFUNDS or part refunds on any subscriptions paid. You can always cancel your upgraded subscription via your PayPal or Solid Trust Pay account. Once a subscription is cancelled, ALL of your capture page links in the upgraded option will no longer work and all traffic to those pages redirected to our main home page immediately upon cancelation.